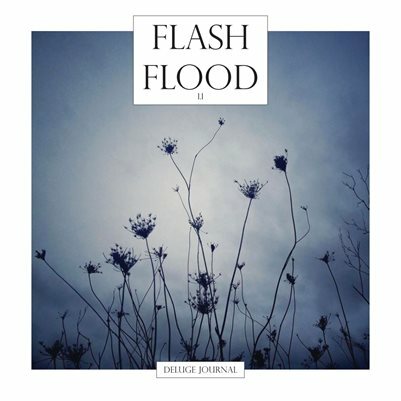 The Editors at deLuge Journal are excited to bring you Flash Flood – a flash journal inspired by deLuge Journal. For every Flash Flood issue, will highlight a writer or two and a visual artist, each having space for us to be flash flooded with their voice, their eye, their hearts, their blood. For us, it offers the opportunity to discover and highlight a writer and an artist together, playing with the intersection of word and image. And it offers the opportunity to have them be singular, away from the downpour that is deLuge. We all need a little flooding now and then. Flash Flood will be published unpredictably, as is the nature of flash floods. And will be available in both print and online.